Depending on the individual and the workout, a full recovery can take anywhere from 7-14 days to feel 100% again. Consider Roula’s 5 best ways for a faster recovery whether you’re a cyclist, runner, or weightlifter. 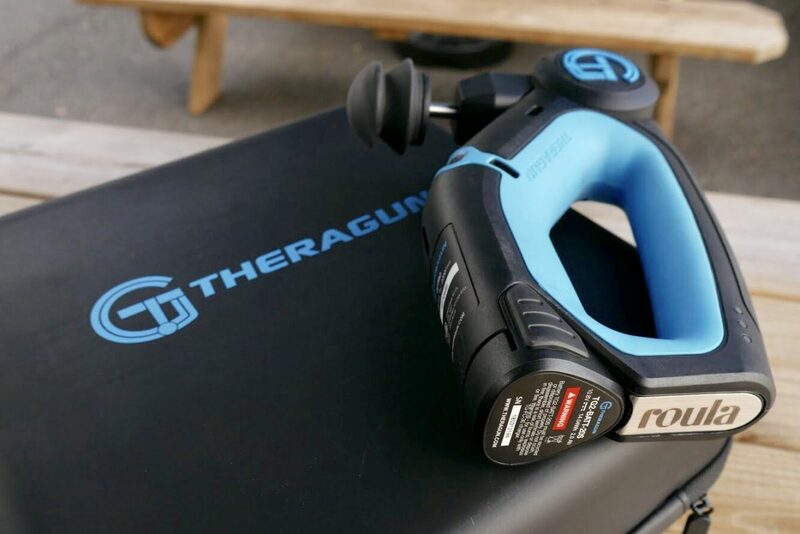 Theragun tools offer 40 percussions per second, 80 pounds of pressure and 16 millimeters of amplitude. When using Theragun keep in mind the machine when turned on will start jolting so get a tight grip on the handle. Don’t apply too much pressure when the machine is turned on because the Theragun will do that for you. Our advice is to get comfortable with the feel of it before applying any EXTRA pressure. There are a few different positions the head can be set at so choose the right position for you and go for it. Normatec recovery is so easy, you can lay back relax and catch up on sleep, work or enhance your influencer lifestyle all while recovering. 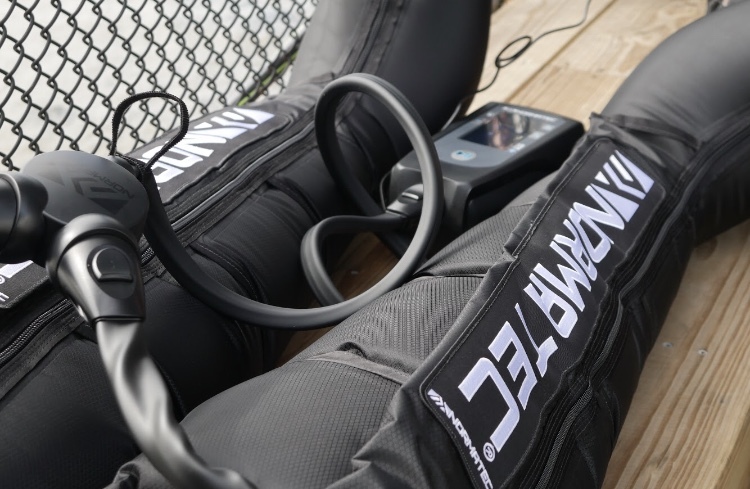 The thing we like most about Normatec is the adjustability. You can customize your recovery from the handheld device that the boots come with. Use the level settings from 1 to 7 to adjust the amount of pressure the boots deploy and to target specific points along your legs that require more treatment. There are multiple pressure chambers in the boot that fill up one at a time for comfort. Once you have adjusted the amount of pressure and target points you can set the timer and get to work! One thing we noticed about using Normatec is that when you’re all done with Recovery it can be a little tricky slipping out of those boots when they are still fully inflated. When the timer stops, the boots will slowly deflate but we didn’t really have time for that. For faster deflation you can also unplug the cords that connect to the head unit to release all the air. You will not be disappointed with these recovery boots, it’s instant relief for your legs and you will feel faster and stronger after usage. Cryotherapy can be costly, contact us at Roula for our rates; reasonable packages are available. Back to basics with yoga , we don’t want to forget how important yoga and dynamic stretching can be after a good workout. Keeping your muscles loose is the best way to recover and feel fresh… It helps with flexibility in general and also helps to prevent injury. Need help getting started? Our friends at Lululemon can show you a few videos to help. Sleep is probably the most important thing for recovery because even though we have all of these great recovery devices nothing will work properly without a good amount of sleep each night. A good nights rest will allow the body time to repair and strengthen itself in between workouts. You also don’t want to just recover physically but you need to be able to recover mentally so you can go into your next work out mentally prepared.